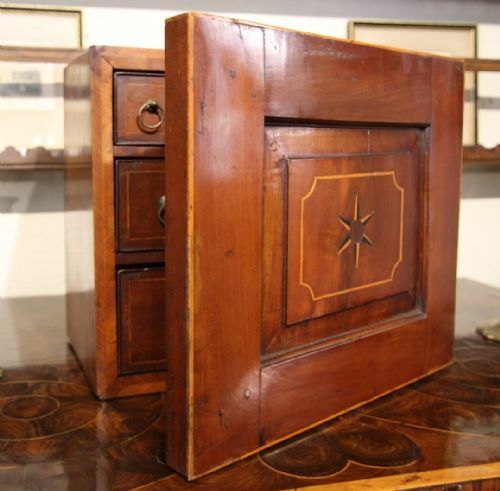 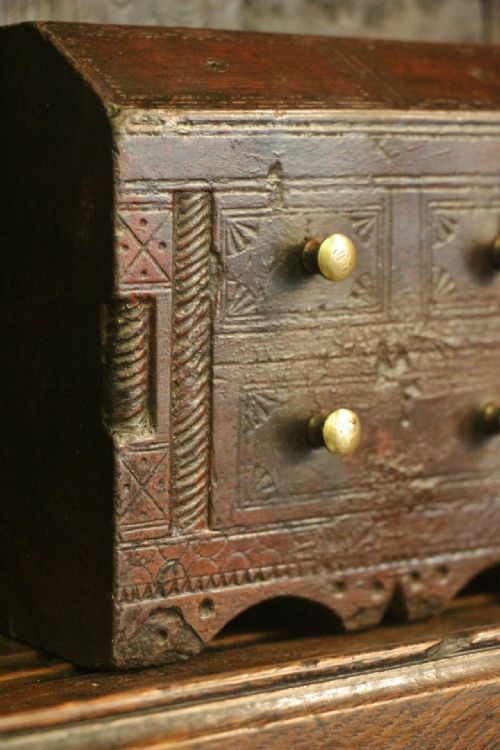 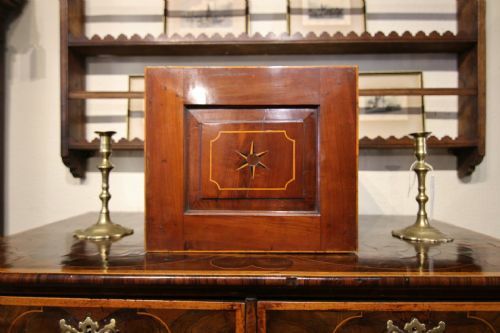 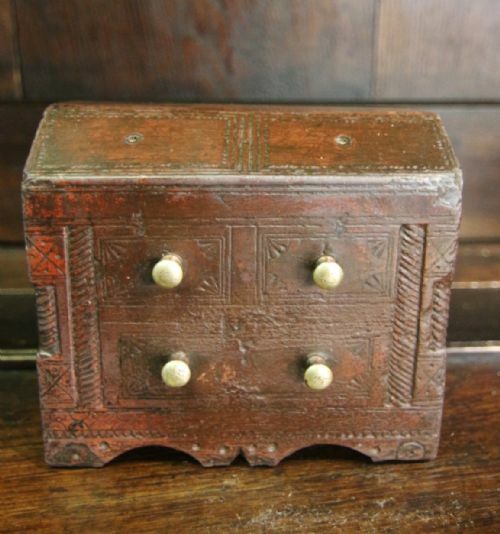 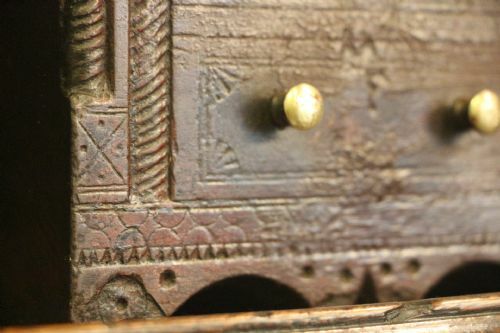 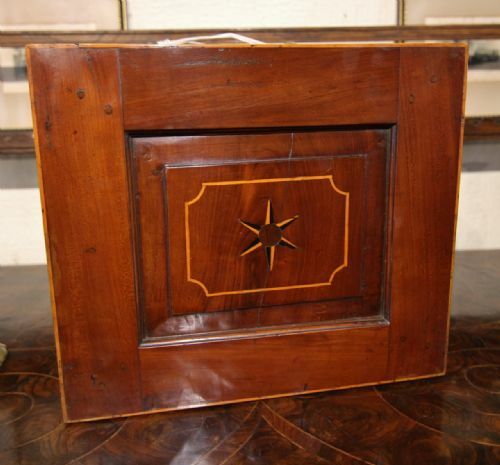 A LOVELY LATE GEORGIAN PRIMITIVE SPICE CABINET MADE IN FRUITWOOD WITH BOX WOOD AND OAK INLAY, CHARMING STARBURST TO CENTRE OF THE RAISED PANEL DOOR, THE INTERIOR REVEALING COCKBEADED AND CROSSBANDED SET OF 9 DRAWERS OF VARYING SIZE. 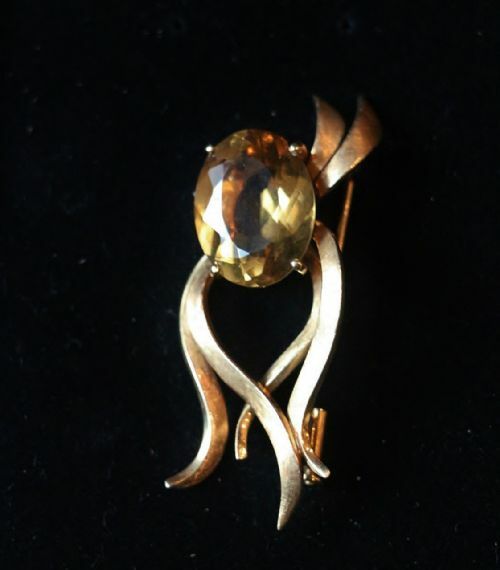 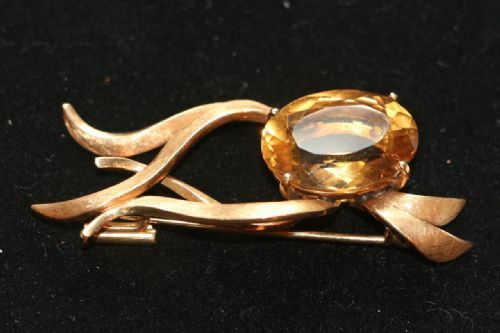 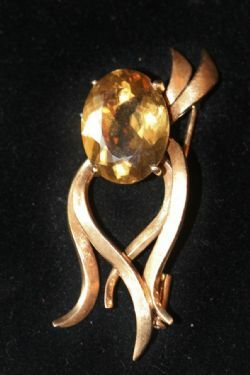 GOOD RICH GOLDEN COLOUR IN UNTOUCHED CONDITION, WITH VARIOUS MINOR OLD REPAIRS, BOUGHT AS SEEN FROM A PRIVATE COLLECTION. 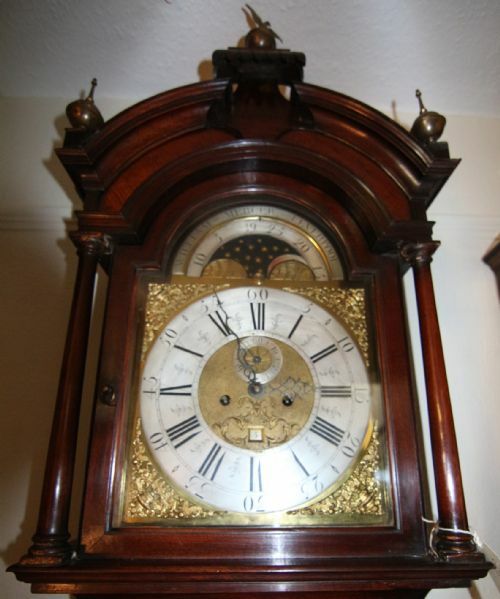 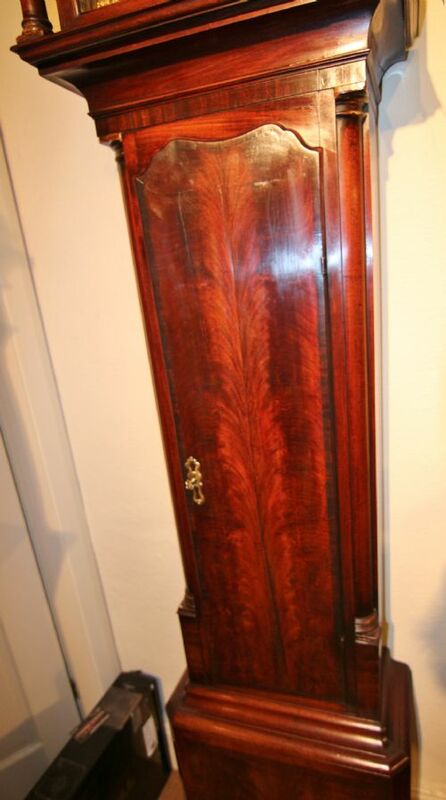 A GOOD EXAMPLE OF AN EARLY 18TH CENTURY MAHOGANY BRASS FACE ARCH DIAL MOON PHASE LONGCASE CLOCK. 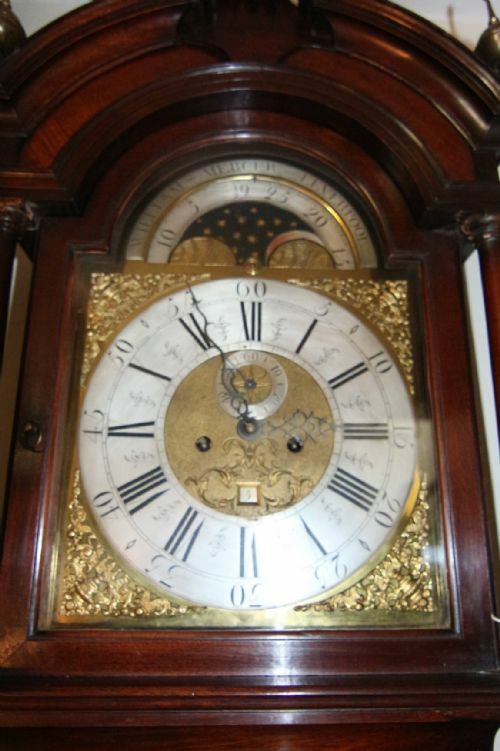 SHAPED DOMED HOOD ABOVE MAHOGANY DOOR &TURNED TAPERING PILLARS, WELL ENGRAVED BRASS FACE WITH PAINTED ROLLING MOON, SILVERED CHAPTER RING WITH ROMAN NUMERALS AND INSET DATE WHEEL, ABOVE LONG SHAPED CROSSBANDED FIGURED MAHOGANY DOOR QUARTER COLUMNS EITHER SIDEABOVE CANTERED FIGURED MAHOGANY BASE STOOD ON SHAPED BRACKET FEET. 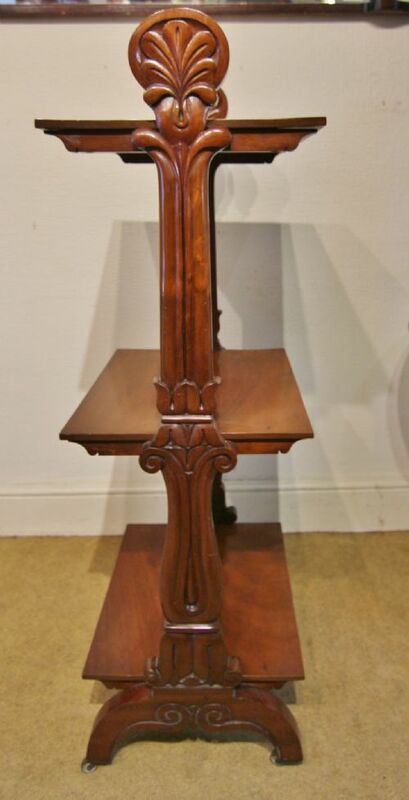 THE MOVEMENT RESVICED AND RUNNING WELL IN OUR SHOWROOM. 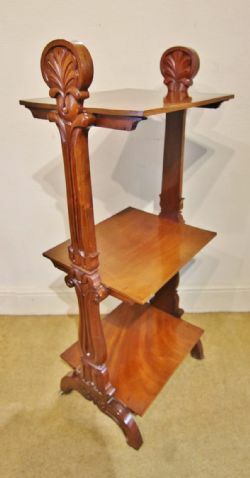 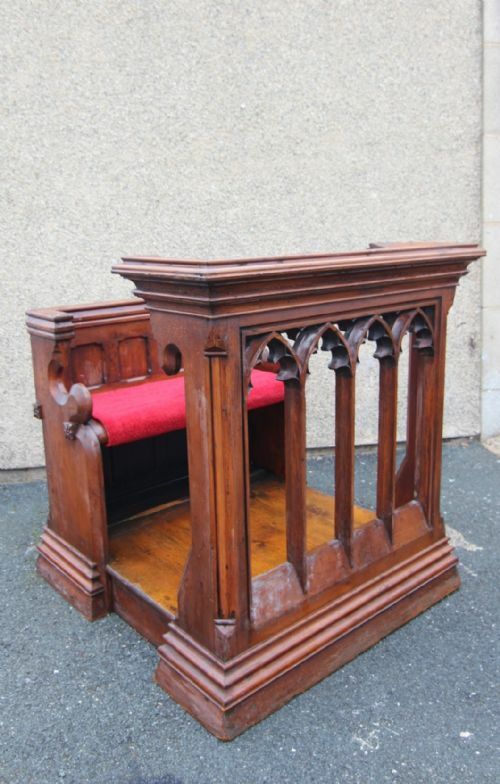 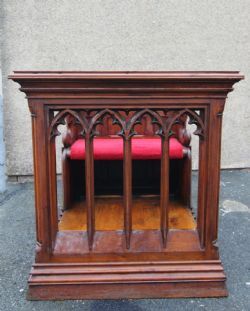 A WELL MADE 19TH CENTURY PINE GOTHIC PULPIT WITH ARCHED FRONTAGE AND RAISED SEATING, NICE DETAIL TO THE SIDES AND PANEL BACK. 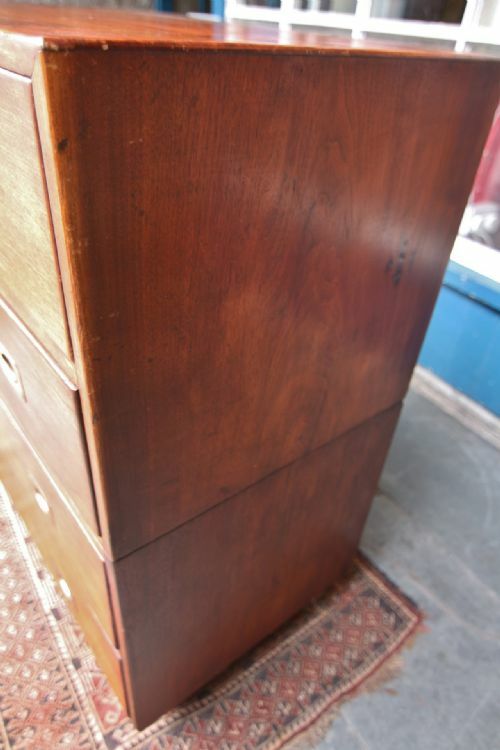 BOUGHT AS SEEN UNTOUCHED CONDITION, BOUGHT PRIVATELY. 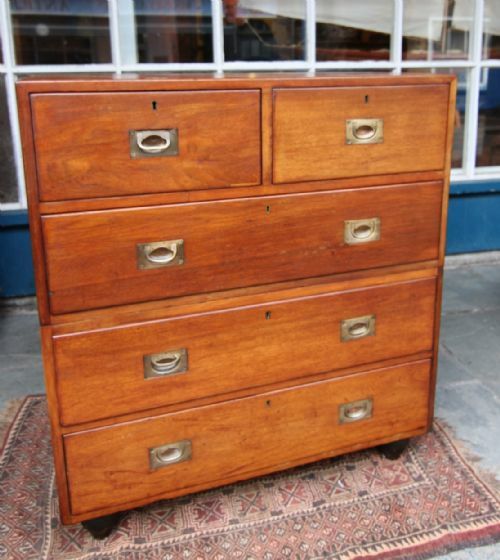 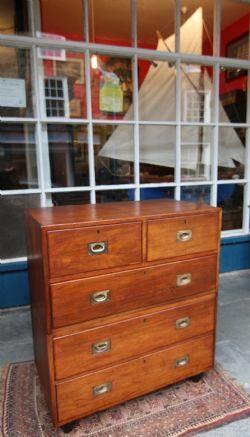 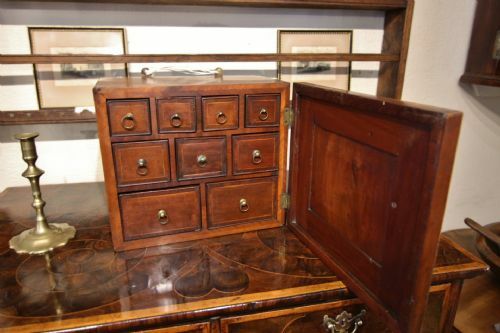 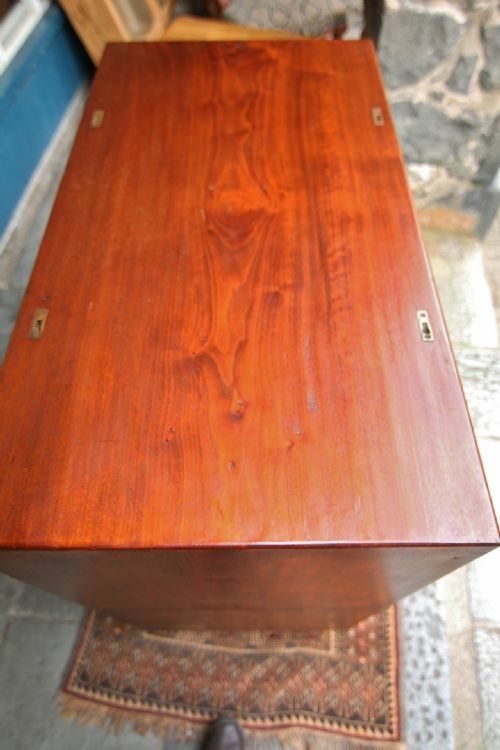 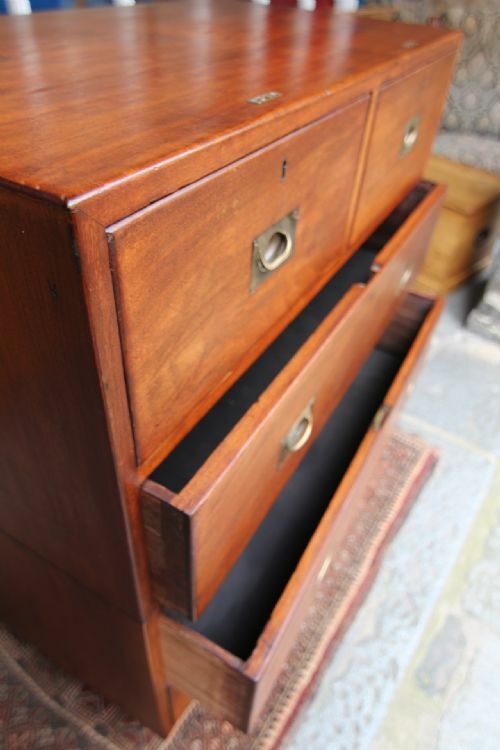 A CLEAN 19TH CENTURY TEAK CHEST IN TWO PARTS, WITH POLISHED TOP & BRASS INSET FITTINGS FOR ADDITIONAL SECTIONS, TWO SHORT OVER THREE LONG DOVETAILED DRAWERS REPLACED DRAWER BAS TIMBERS ; ORIGINAL RECESSED BRASS HANDLES, POLISHED SIDES AND SOLID TIMBER BACK, STOOD ON TURNED BUN FEET. 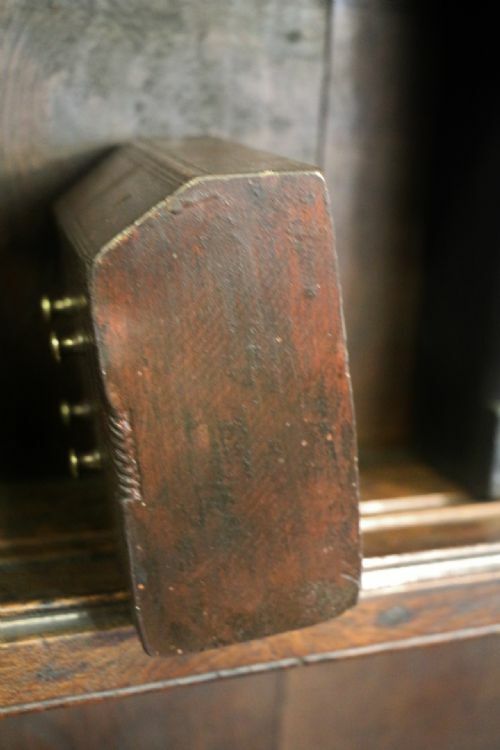 MINOR OLD REPAIRS, TOP LEFT HANDLE SLIGHTLY RAISED . 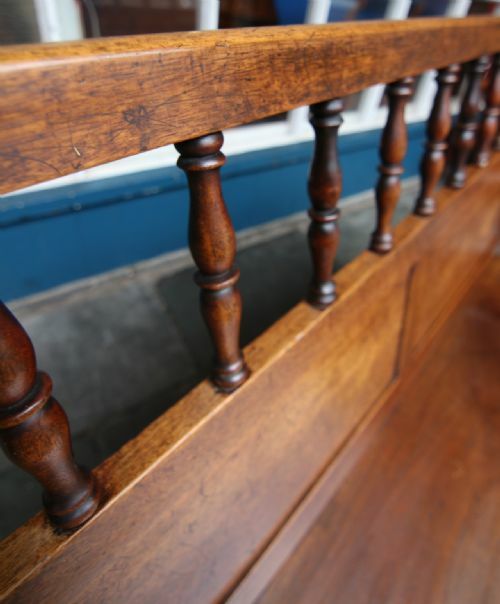 IN TWO SECTIONS FOR EASE OF TRANSPORT. 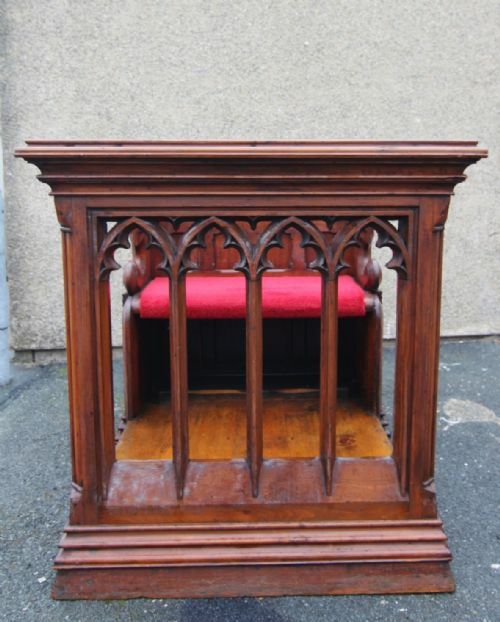 BOUGHT AS SEEN CONDITION READY TO USE. 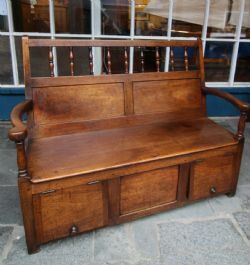 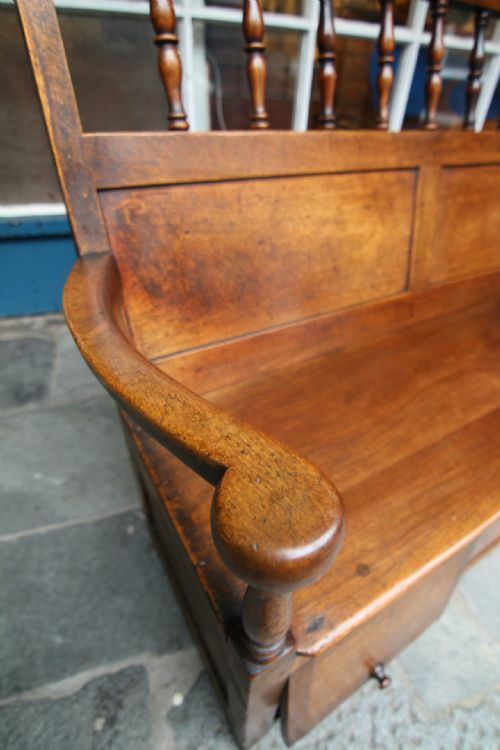 A GOOD WELSH SETTLE WITH LOVELY GOLDEN COLOUR AND PATINATION BOUGHT AS SEEN FROM A PRIVATE ESTATE; TURNED SPINDLE & RECESSED PANEL BACK WITH CHUNKY SWEPT ARMRESTS, BROAD POLISHED TIMBER SEAT ABOVE TWO DOG KENNEL STYLE DOORS, PANEL SIDES AND BACK. 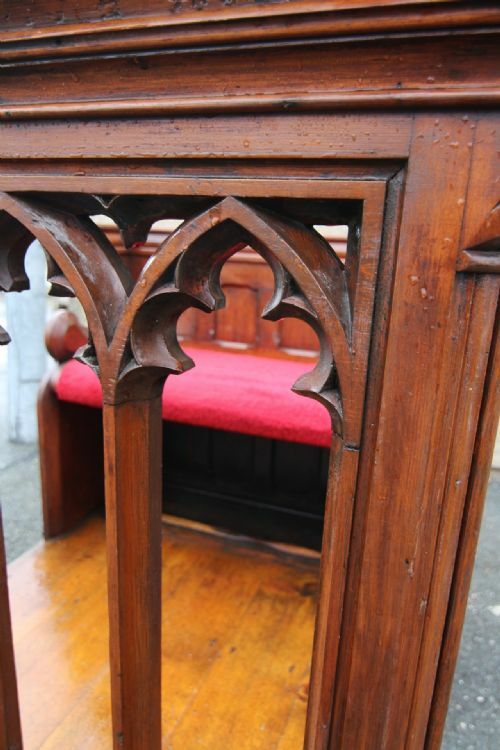 IN EXCELLENT CONDITION NO WORM OR RESTORATIONS. 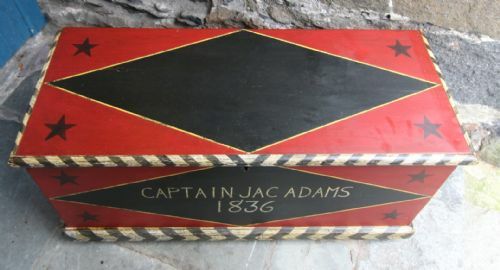 ABERYSTWYTH REGION CIRCA 1830S. 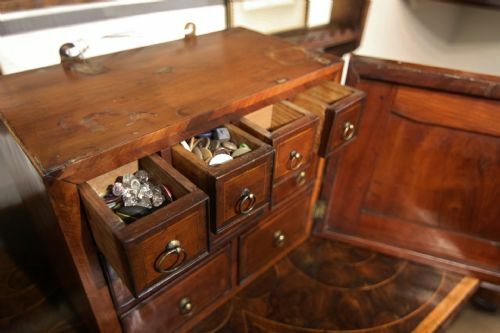 LOVELY EXAMPLE OF A 19TH CENTURY QUARRYMANS FOLK ART SLATE BUREAU, WELL CARVED DETAIL TO THE FRONT WITH OLD BRASS HANDLES, SHAPED SWEPT BASE. PIECES SUCH AS THIS WERE MADE BY THE QUARRYMEN AS GIFTS AND TO SUPPLEMENT THEIR INCOMES. 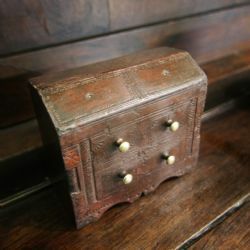 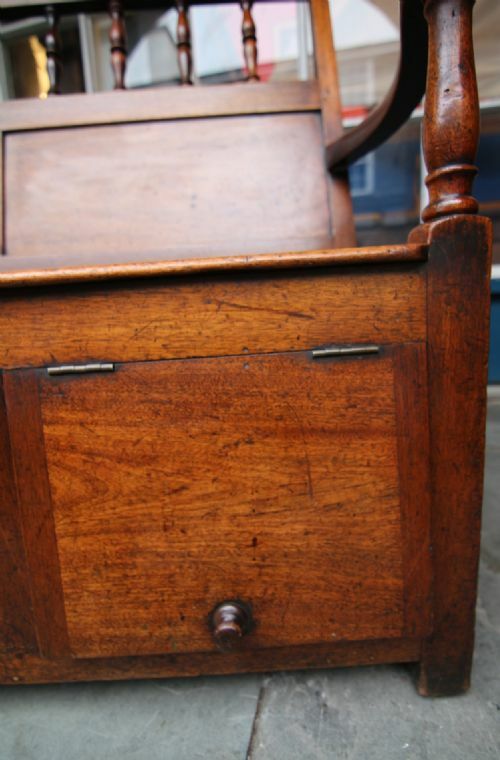 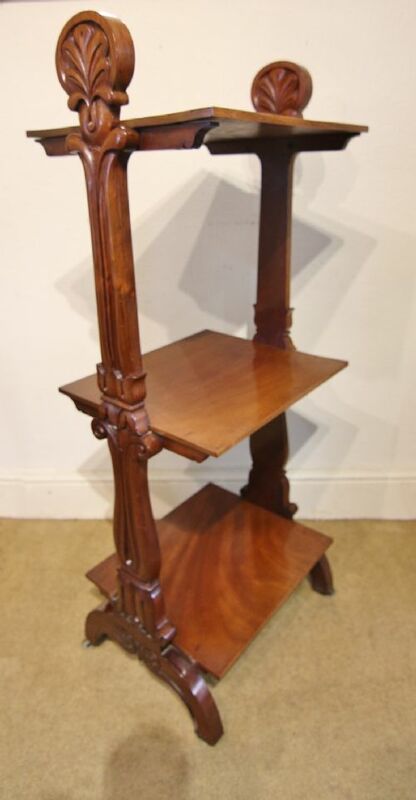 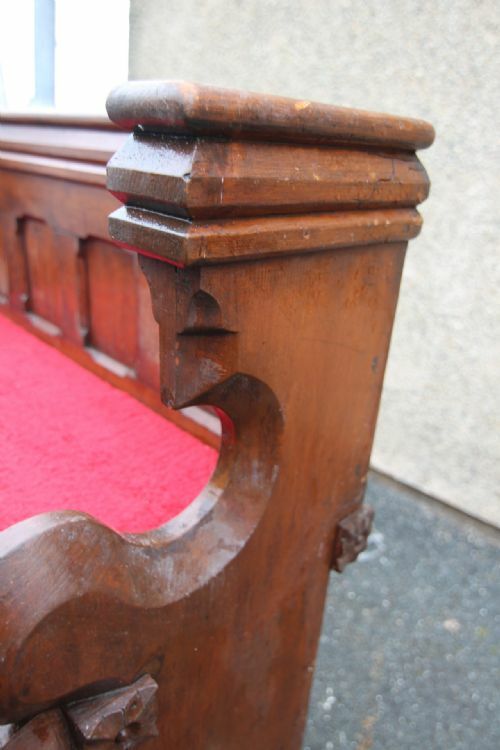 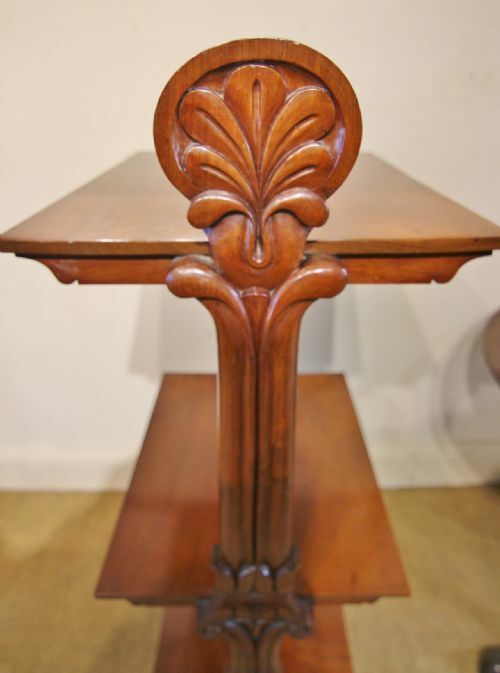 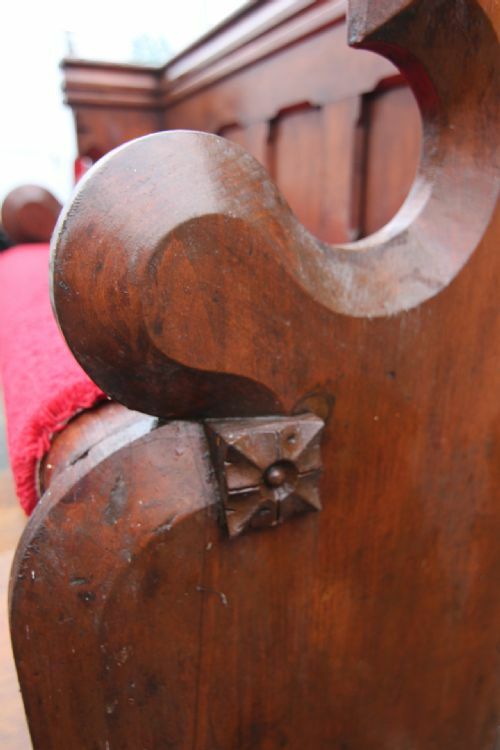 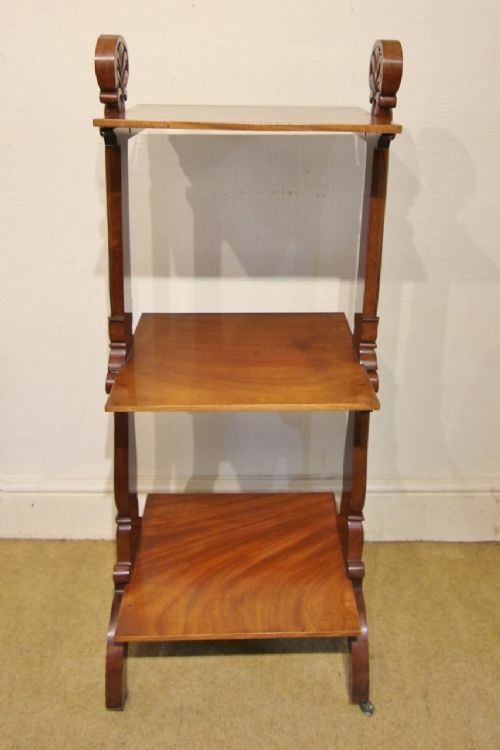 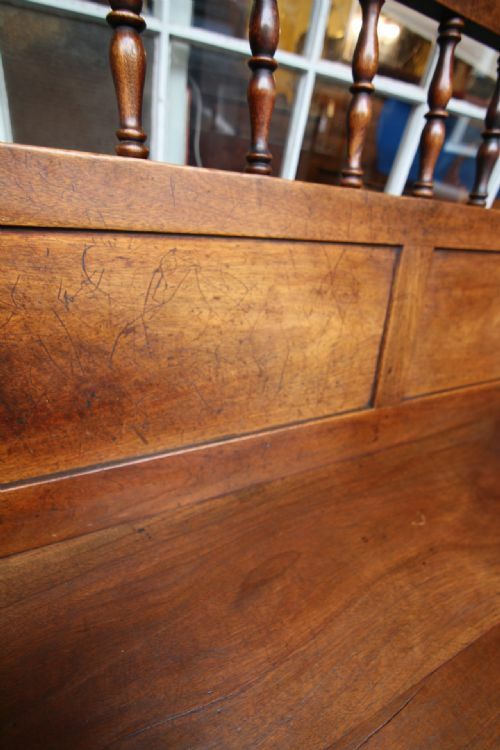 THIS EXAMPLE HAS THE UNUSUAL TRACES OF OLD MAHOGANY COLOURED SCUMBLE PAINTWORK , LIKELY PROVIDING A MORE DECORATIVE WOOD EFFECT FINISH. 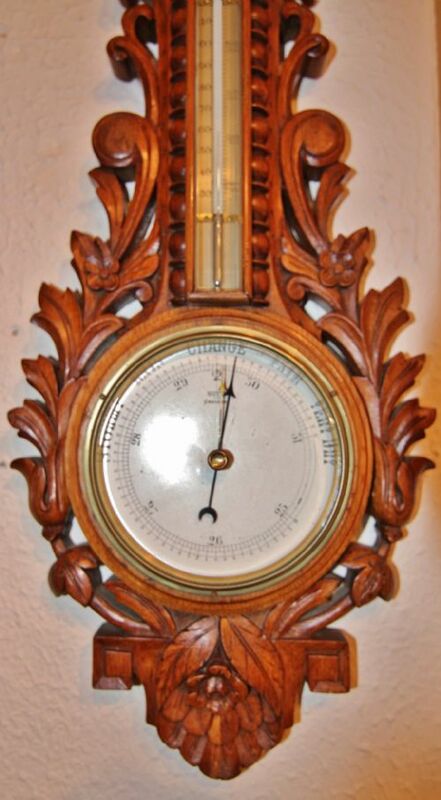 A WELL CARVED OAK ANEROID BAROMETER WITH MERCURY TEMPERATURE GAUGE AND CLOCK, LOVELY GOLDEN OAK CARVED CASE. 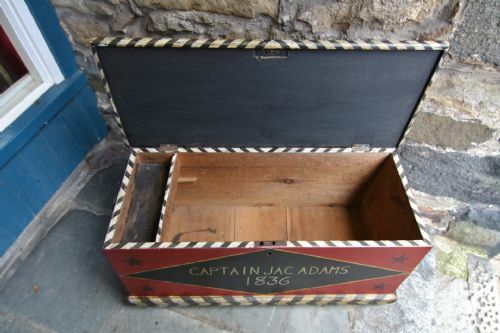 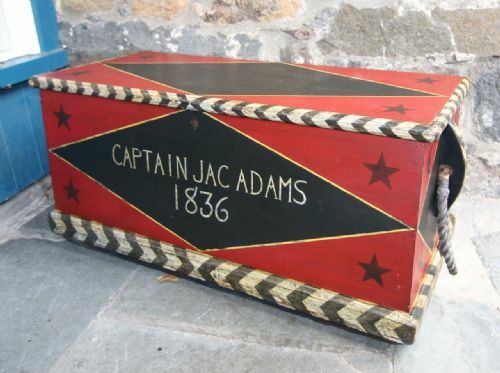 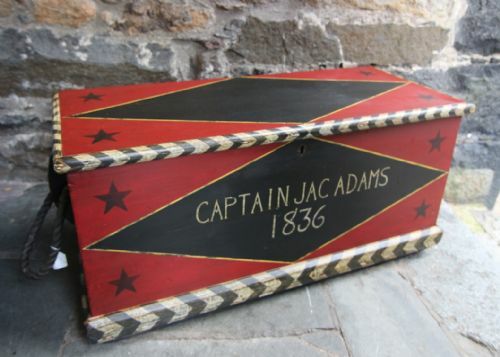 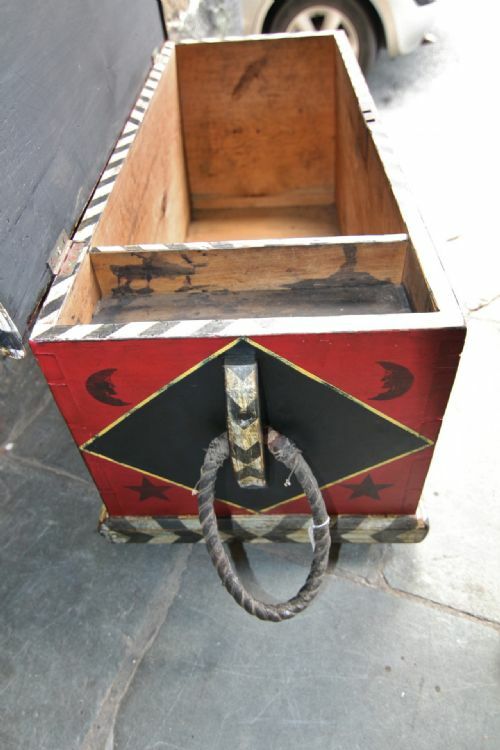 A CLEAN SLOPE SIDED PINE SAILORS CHEST WITH ORIGINAL BECKET HANDLES AND INTERIOR CANDLE BOX, OVERPAINTED IN POLYCHROME RED AND BLACK.